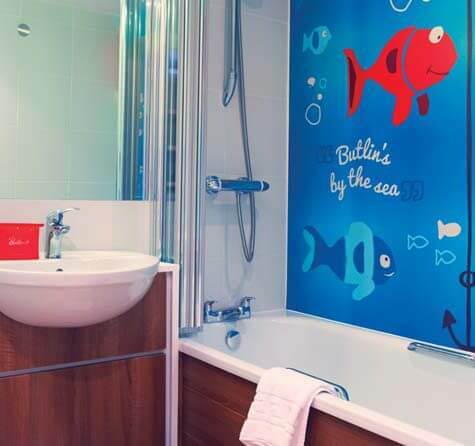 Our ‘new-style’ Shoreline Hotel’s rooms are great for families and come complete with brand new nautical touches, twin or double beds as well as their very own children’s den. Our ‘new-style’ Shoreline Hotel rooms are ready for boarding. Designed to give you more space and create a home away from home for you and your little ones. 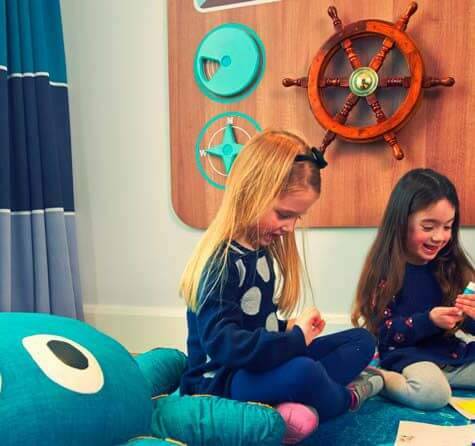 Our new rooms feature octopus sofas where the whole family can sit down and enjoy some time together whilst the kids will love the Captain’s helm activity wall where they’ll be able to steer the good ship Shoreline. Plus every room has been finished with furniture that has rounded edges to help keep little ones safe and sound. 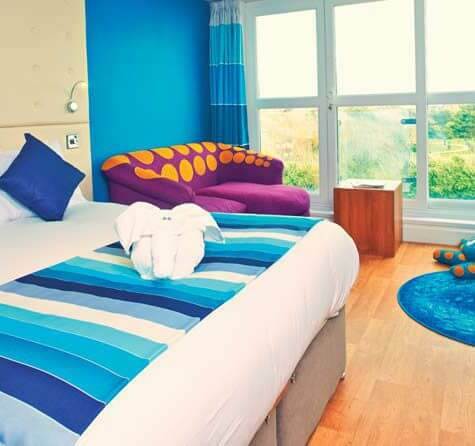 Offering a safe and cosy space for the whole family, our rooms have new double or twin beds and a separate children’s den complete with bunk beds and sleep tight curtains to make sure everyone gets a good night’s sleep.